... to The Basics, the fanlisting for Hoop Earrings! Everyone needs a pair of hoop earrings as part of their basic accessories. I just happen to have about 15 pairs because I love hoops! 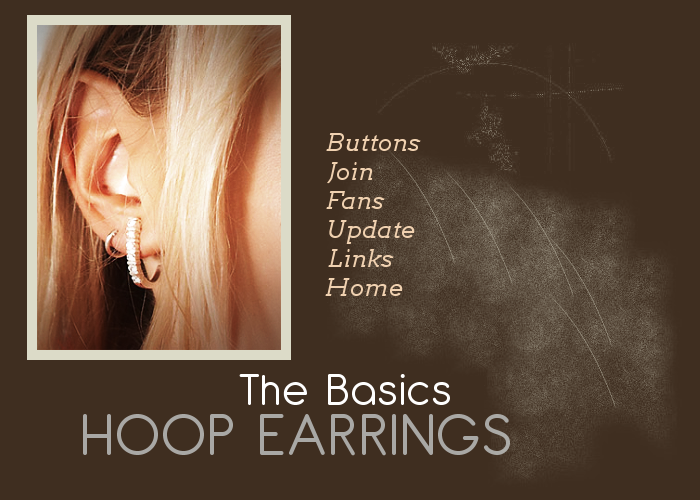 If you're a fan of hoop earrings, please grab a button (if you have a site) and add your name to the list of fans! The last update was on 20th April 2019, when Jolene joined or updated their information. We have a total of 20 fans already listed and 0 waiting to be added on the next update.